Epic Games’ latest state-of-development blog post announces some changes they have planned for the future of Fortnite Battle Royale, including skill-based matchmaking and shorter queue times. However, these changes also mean the SMG is being rotated out of play – at least for now. Want more games like Fortnite? Check out the best battle royale games. According to Epic’s development blog, the SMG is being put into the Vault where it could remain indefinitely. 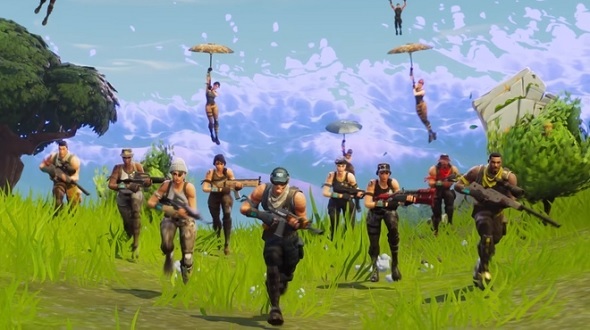 “We’re continuing to prototype new weapons and consumables, and will roll them out as they’re ready,” Epic Games explain. “Additionally, we’re looking to add different types of items down the road (beyond just weapons and consumables) that will allow for exciting new ways to play. An Epic Games representative on Reddit clarifies that this means the SMG is essentially being rotated out of the game to allow for new weapons to be tested. However, the tactical SMG and suppressed SMG will still drop. This means we will be seeing more items rotated out of play in the future, not just weapons, to allow for new items to be tested. Some will make it out of the vault, while others may not. The SMG will be put into the Vault next week, though we do not know when, or if, it will return.